If you need emergency towing service in Terre Haute, Indiana and any of the surrounding areas, we’re here for you 24/7 and 365 days a year. We are your most dependable full service towing company. The appropriate truck for your issue is quickly radio dispatched and equipped to handle any emergency. Accidents, breakdowns, roadside assistance or stuck in a ditch. We are committed to our customer’s safety. Your emergency is our emergency. You won’t get voice mail when you call at 3:00 a.m. A company employee will promptly answer your call for help and immediately get the ball rolling. And don’t be surprised if the driver has a compassionate ear to lend while they do their work. We routinely go the extra mile for our customers. It’s just the way we do business. 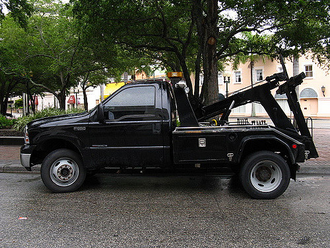 In 1916, a man who worked in a garage in Chattanooga, Tennessee invented the beginnings of the tow truck. Ernest Holmes Sr. after needing blocks, ropes and six men to pull a car out of a creek decided there was a better way. Another great example of necessity being the mother of invention. After much improvement on his design he started manufacturing them commercially. We know how our customers worry about their vehicles being towed. They fear external damage to their car as a result. The latest designs in tow trucks have kept this in mind. A Wheel-Lift Tow Truck has a large metal yoke that fits under the car’s front or back end (this depends on whether the vehicle is front or rear wheel drive) and cradles the tires. A hydraulic hoist then lifts it off the ground. The only part of your car that is touched is the wheels. Our drivers know your car is important to you and they treat it as if it were their own. Exceptional training and good common sense is what will keep your vehicle scratch and dent free during transport. 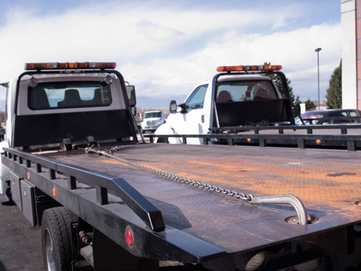 We offer a variety of services with our flatbed tow trucks. Long distance transport of vehicles that are ill-suited for conventional towing behind a tow truck such as show cars, antique vehicles or just difficult to tow automobiles. Flatbed trucks have a flat bed that is inclined to ground level by hydraulics. A vehicle can be driven onto the bed under its own power or by using a winch to pull it. If you need heavy machinery or equipment moved to another location or delivery of heavy merchandise, our flatbed truck is just the ticket. Just call and let us know when you need us. We are prompt and dependable, always. We are proud of our fast response times for roadside assistance services. When you are in need of jumper cables because your battery has died or you’ve locked your keys in your car and it’s late at night and you’re far from home-you need help now. 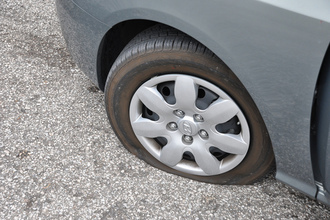 We also change flat tires and bring you gas when you run out and you are miles from the nearest gas station. We understand completely and it happens to everyone at some point. We will immediately dispatch a truck equipped for all roadside assistance necessities. We promise to be there when you need us.